To report any incidents or complaints about the treatment of club members, either children or vulnerable adults. 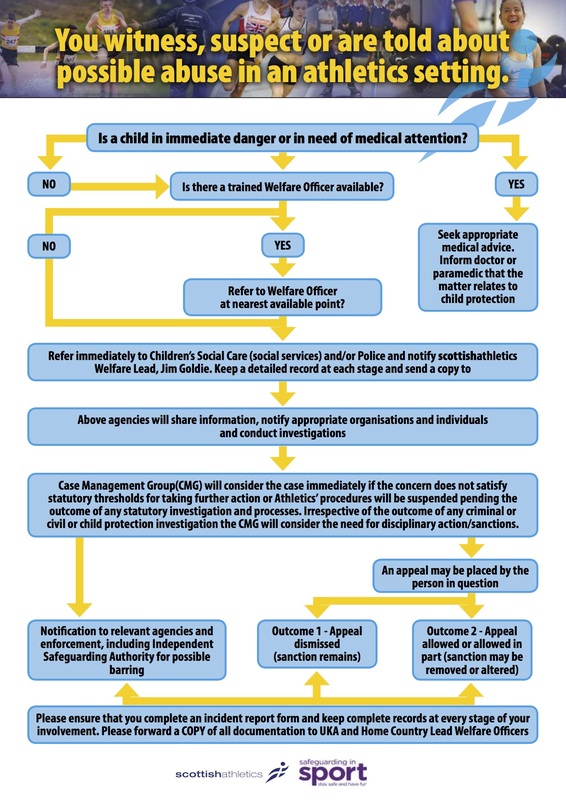 Queries on Child protection procedures. If you will be coaching or leading children in any of our club’s activities. Deeside Runners follows the Scottish Athletics policy for Equality, i.e. can be assured of an environment in which their rights, dignity and individual worth are respected, and in particular that they are able to enjoy their sport without the threat of intimidation, victimisation, harassment or abuse. The Scottish Athletics policy can be downloaded here.